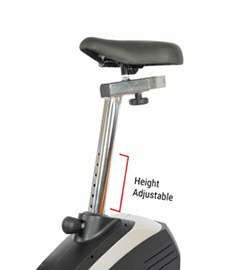 Introducing Propel Seated Cross Trainer for elderly people – Biomechanically designed Seated Cross Trainer to reduce Knee Pain, Back Pain and improve Body Posture. No cost EMI - 1666 x 12 EMI. Leg Muscles weakness is main reason for knee pain among elderly people. Due to this muscle weakness, knee joints takes the entire body weight and results in knee pain. Once you strengthen the thigh muscle and calf muscle, body weight is evenly transferred to legs instead of knee joints alone. 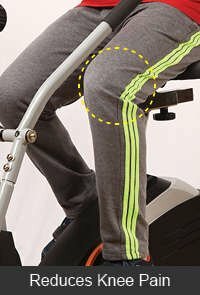 This seated cross trainer helps you to stregthen the thigh muscles and calf muscles. 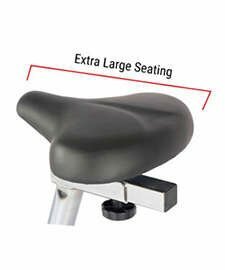 Seated Cross Trainer will engage and strengthen muscles in your abdomen, buttocks, lower back, shoulders, neck and arms. This improves body posture and reduces back pain. Good Posture is critical to reducing back and next pain. Seated Cross Trainer engages both upper body muscles and lower body muscles and it results in improving the body posture. Good Posture keeps bones and joints in the correct alignment so that muscles are being used properly. Its helps to decrease the abnormal wearing of joint surfaces. Decreases the stress on the ligaments holding the joints of the spine together. It prevents the spine from becoming fixed in abnormal positions. Good posture means your vital organs are in the right position and can function at peak efficiency. 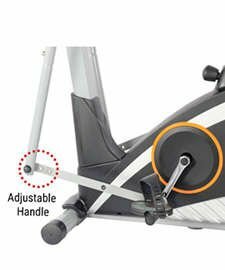 Why is it called Seated Cross trainer? I am heavy. Can I use this machine? 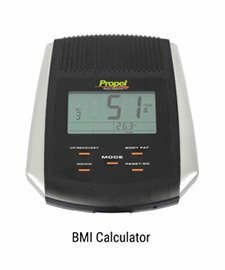 Can I reduce weight by using this machine? What is the cost of this equipment? MRP is Rs.25,900 and currently we are offering it at Rs. 22,995. We also have special offers for Bajaj Cardholders. No cost EMI Rs. 1725 * 12 months without any additional cost. I have back problem. Can I use this machine? I am 50+, Can I use this machine?